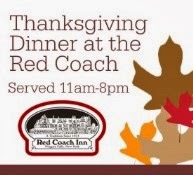 Enjoy Thanksgiving Dinner at The Red Coach Inn! 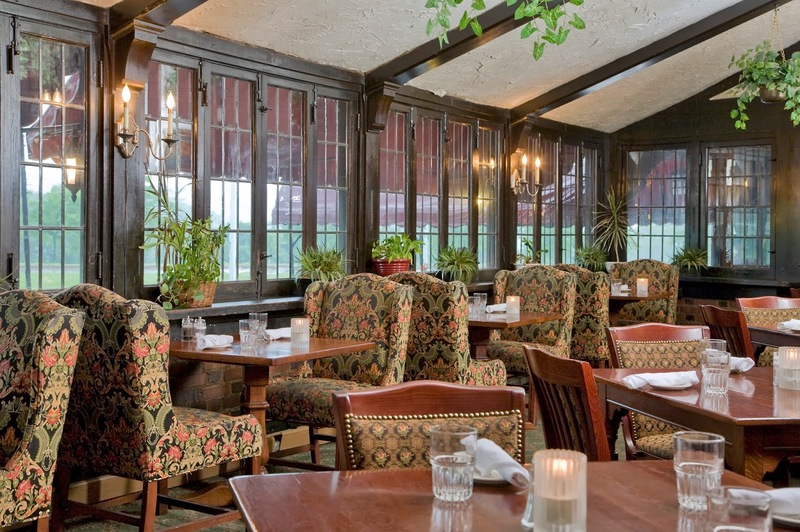 If you're looking to get out of all the Thanksgiving cooking, but still want to enjoy a delicious holiday meal, head to the Red Coach Inn for a Traditional Thanksgiving Dinner! Main course entree selections include Turkey, Ham, Duck, and Pork. Don't forget about dessert! We have all your favorites including Bread Pudding, Pecan Pie, Pumpkin Cheesecake and Apple Pie, plus many more! CLICK HERE to see our entire Thanksgiving menu. Can you believe next week is Thanksgiving and Christmas will be here in 35 days! This week in Niagara Falls you can get started on your holiday shopping at the Annual Holiday Gift Show at the Kenan Center, and don't forget to stop by the Red Coach Inn for you holiday gift certificates. Travel the world with award-winning Landscape Architect John Morley this Wednesday night at the Lewiston Opera Hall from 7:00 pm to 9:00 pm. Open your mind and learn to improve the appearance of your property as well as your community. From sculpture, to water features, to wonderful open spaces that provide an opportunity for enjoyment and relaxation, sit back and relax as Mr. Morley takes you on an educational adventure. 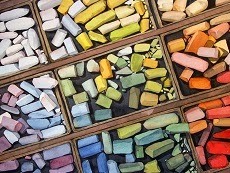 $5 admission / Free to Lewiston Council of the Arts members. Head out to the Kenan Center for this year's Annual Holiday Gift Show. The event features 50 artisans and designers, cafe, quilt raffle, goodie booth, and gifts from the garden. The Holiday Gift Show starts Friday evening from 5:00 pm - 9:00pm and the continues on Saturday from 10:00 am - 5:00 pm and Sunday from 11:00 am - 5:00 pm. Admission is $4 and for more information CLICK HERE. 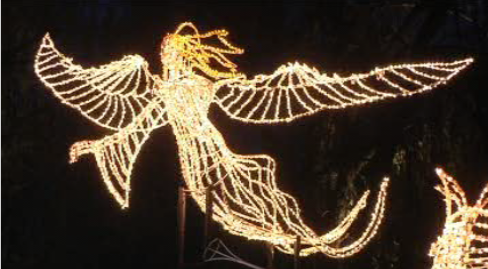 Come out to Lewiston to view this year's Fatima Shrine of Lights. In all there are over 75 displays to be viewed, including a giant Nativity Scene which features a nine foot angel hovering over the Holy Family. During the festival the lights are on from 5:00 pm - 9:00 pm every night. The Shrine gift and book shop are open until 9:00 pm and the cafeteria is open till 8:00 pm. For more information CLICK HERE. Starting at 6:30 pm this Sunday head to the Lewiston Red Brick School, located at 145 N. 4th St., Lewiston, 14092 for a movie night. This free program will feature local expert George Baily, who will discuss Marilyn Monroe's visit to Niagara Falls to shoot the film "Niagara". After the presentation enjoy watching the film. 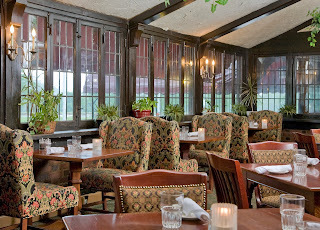 Each week our chefs choose 3 mouth-watering entrees to feature for our Weekly Dinner Specials. Entrees are not on our regular menu and vary weekly, so whether you are a first-timer or a seasoned regular you don't want to miss out on this week's scrumptious entrees! Also don't forget you can enjoy a traditional Thanksgiving Day dinner at the Red Coach Inn from 11:00 am - 8:00 pm. To see our Thanksgiving menu CLICK HERE. It's starting to feel like winter here in Niagara Falls. 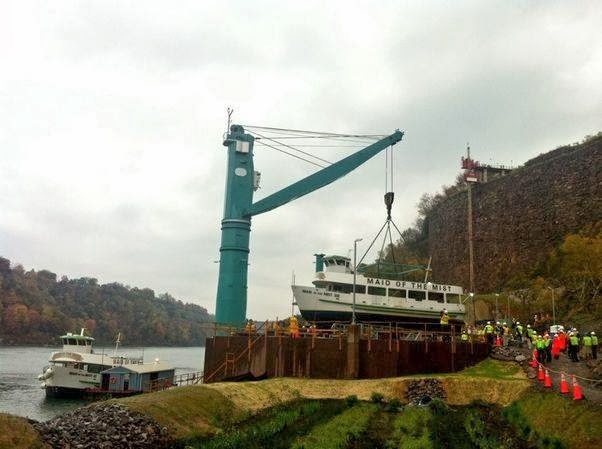 The Maid of the Mist has migrated down to the gorge for the winter, the leaves are falling, and we are starting to see a little snow! 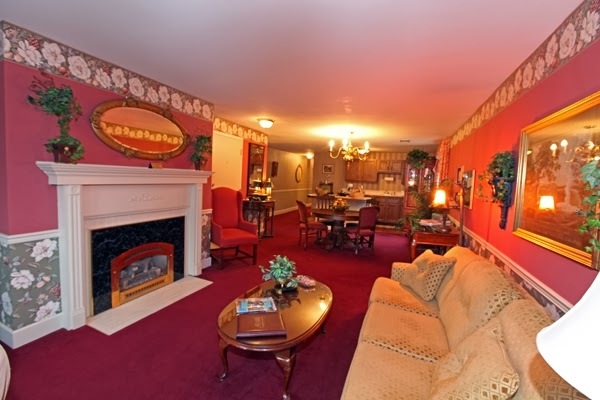 Whether you want to bundle up and head out to explore Niagara Falls or want to stay warm and cozy inside the Red Coach Inn has it all! Just a short drive from all the activities and events the Red Coach Inn is located just 500 yards from the Upper Rapids, and a 1/2 mile from the brink of the Falls. 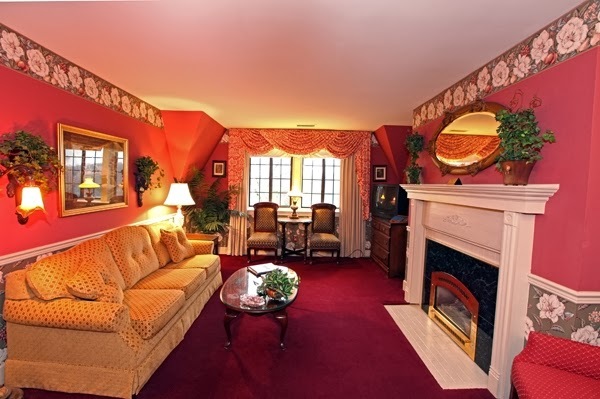 We also have suites featuring in-room fireplaces in case you'd rather spend the day snug and cozy! Come out to the Kenan Center and view an exhibit of watercolors featuring member of the Niagara Frontier Watercolor Society. The show will present 74 works by 46 artists. Exhibit hours are Monday - Friday, noon - 5:00 pm, Saturday & Sunday, 2:00 pm - 5:00 pm. For more information CLICK HERE. 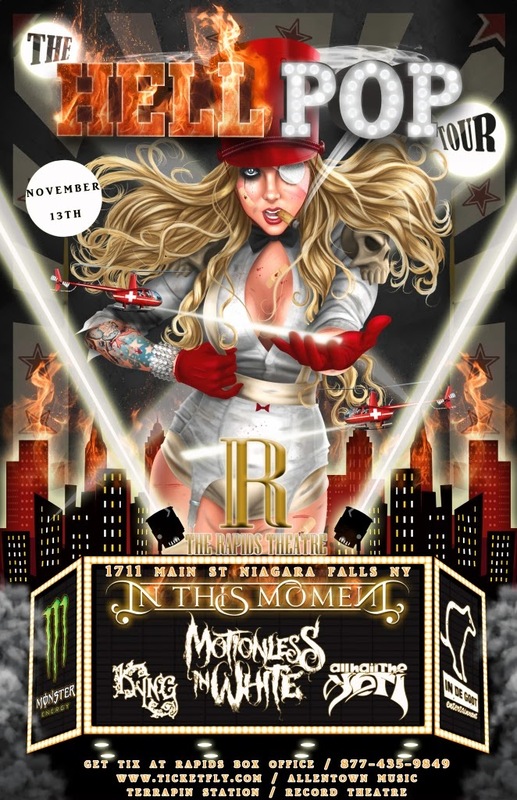 103.3 The Edge presents The Hellpop Tour featuring In This Moment, with guests Motionless in White, Kying, and All Hail the Yeti. For In This Month, the dream was always to become a worldwide phenomenon and that is something that will never fade! They are excited to performing their rock music as part of the Hellpop Tour and it won't be long until this band is at the brink of greatness! Tickets are $22.50 in advance adn $25 at the gate and gates open Wednesday at 6:00pm. For more information and tickets CLICK HERE. Head to Whirlpool State Park and enjoy the Niagara Gorge after the volume of water in the Niagara River is reduced by 25%. Join park naturalists for a guided hike that will take you past the Whirlpool to the site of the Great Gorge Route Station and beyond. For more information CLICK HERE or call 716-282-5154 for registration. 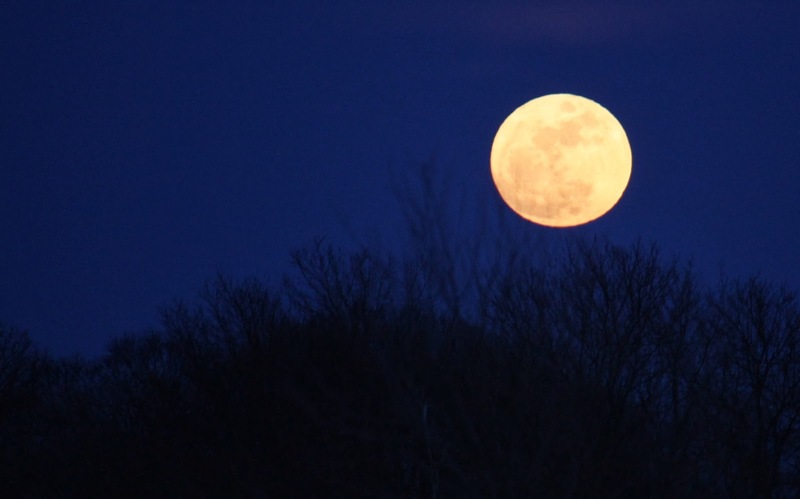 The Wilson Tuscarora State Park (3371 Lake Rd., Wilson, NY) will be hosting a Full Moon Adventure on Monday November 18th from 6:30 pm - 8:30 pm. Relish the mysterious world of nature after dark as you listen to stories about ecology, moon lore, and the magic of nature at night. Then enjoy a short walk through the woods under the moonlit skies. For more information and to register call 716-282-5154. The Red Coach Inn is a unique Niagara Falls hotel unlike any other! Did you know every room is different? From the layout to the decor to the view each room offers something new! Each month we choose a room to feature so when you are ready to book you know just which one to pick! 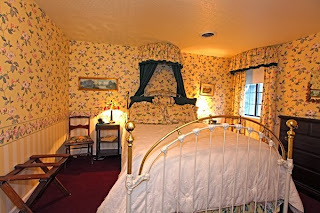 This month's featured room is the Cornwall Suite. The Cornwall is a 2-bedroom, 1-bath suite located on the third floor over-looking the rose garden. Unfortunately we do not have elevators at the Red Coach Inn, so if stairs are an issue you may want to consider a first floor room. 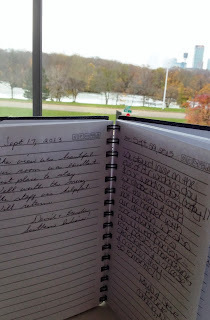 The climb to the third floor does pay off; this room has stunning views of the Upper Rapids and Goat Island. You can open the living room windows and hear the roar of the rapids! 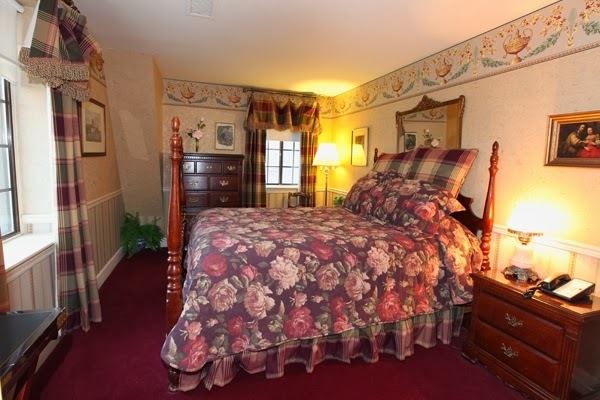 This 975 square foot room is also our only 2 bedroom, 1 bath, so the Cornwall Suite is usually $50 less than other 2 bedroom suites at the hotel. This room has a pillow-top queen bed in each room and a jetted tub in the bathroom. There is a full kitchen with stove, full-size refrigerator, dishwasher, microwave, and coffee-maker. The kitchen also come stocked with utensils, cookware, and flatware. The living-room area has a pull-out sofa bed and gas fireplace, and with temperatures down in the 30s an in-room fireplace is a must! You will also enjoy all of the Red Coach Inn amenities including breakfast and the local newspaper in our restaurant each morning from 7:30 am to 11:00 am, as well as free wireless internet, free long distance, Bose stereo, plush terry cloth robes, and Gilchrist & Soames bath amenities. CLICK HERE to book now, and don't forget to leave us a note in our guest book! We hope to see you soon! Each week our chefs choose 3 mouth-watering entrees to feature for our Weekly Dinner Specials. Entrees are not on regular menu and vary weekly, so whether you are a first-timer or a seasoned regular you don't want to miss out on this week's scrumptious entrees! It's a beautiful week here in Niagara Falls! 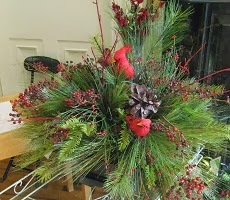 As the temperatures drop and with Thanksgiving just around the corner we a enjoying the transition of fall to winter! Help support our Veteran's in this weekend's Share the Bounty at the Niagara Wine Trail. Each participating winery will have different charges for tasting and the proceeds will benefit the charity of their choice. There are no tickets sold for this event. Proceeds benefit our food banks, food pantries, and charities. For a complete list of participating wineries CLICK HERE. 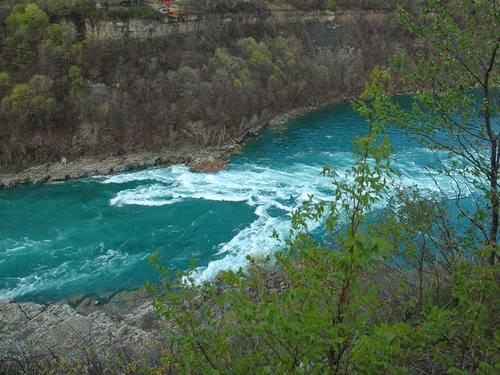 Head out to Whirlpool State Park and enjoy the Niagara Gorge after the volume of water in the Niagara River is reduced by 25%. Join park naturalists for a guided hike that will take you post the Whirlpool to the site of the Great Gorge Route Station and beyond. For more information CLICK HERE or call 716-282-5154 for registration. Experience the fascinating world of reptiles and more this Saturday at the Aquarium of Niagara. Join Jeff Musial of Nickel City Reptiles as he shows reptiles from around the world. Several shows are schedule throughout the day and for more information CLICK HERE. Also enjoy daily Penguin feedings, Harbor Seal feedings and Sea Lion sessions while you're at the Aquarium. An Italian American family deals with old losses, new joys, and the strength of family during the Serenata Dinner Show at the Niagara Art and Cultural Center. Watch the Donato family live, laugh, and love in this world and the next. Dinner packages are all-inclusive - covering your theater ticket, a full dinner with beverage and dessert, plus tax and gratuity. (There is a cash bar available) To purchase tickets call the NACC at 716-282-7530.